You will find below our financial services Twitter Top 10 in the Latin America (LATAM) region. 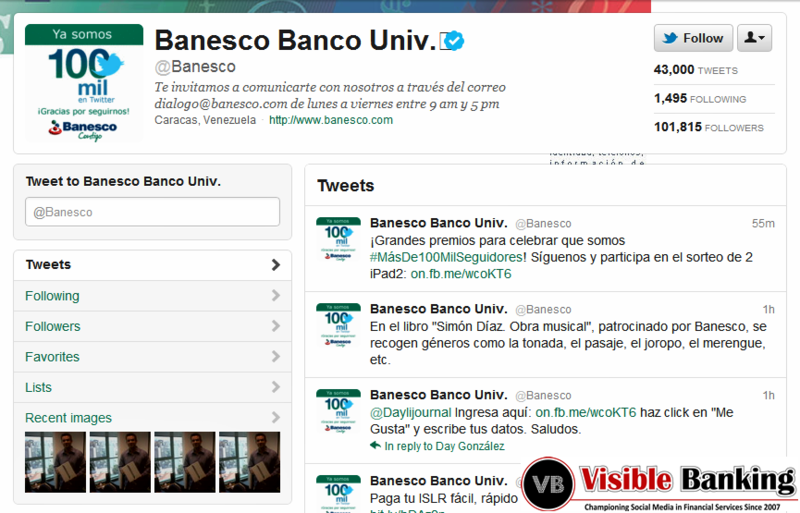 Currently, Banesco is the clear leader with a sizable follower base of over 100,000. Wondering which countries are leading the way on twitter in LATAM? Which financial institutions are the most followed? I invite you to watch our Top 10 video countdown which includes just three banks and one insurance company. Companies mentioned: Banesco, BBVA Provincial, Banco do Chile, Banco de Mexico, Santander Brasil, Itau, Banco do Brasil, Bradesco, Bancolombia.